The self catering cottages of Ubriezo are located in an area known as the Liebana Valley in the Picos de Europa mountains of Cantabria. Ubriezo is only 600 metres above sea level but provides stunning views from each of the self-catering cottages and from all over the hamlet. 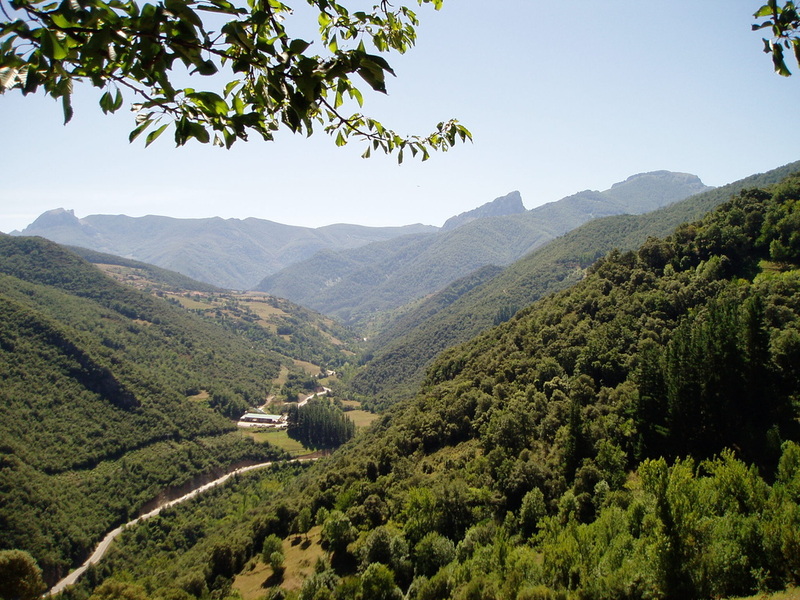 Whether you want a challenging hike or an evening stroll there are several enticing paths leading from Ubriezo. 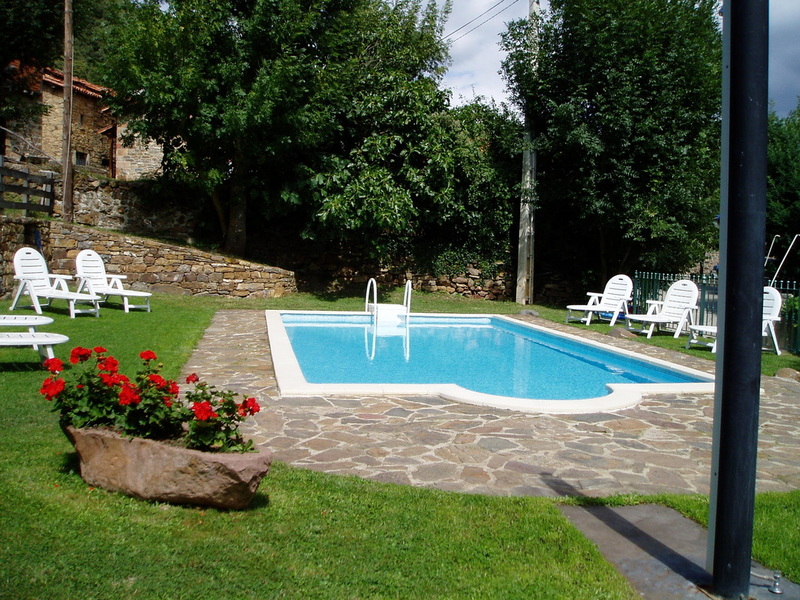 Shared swimming pool with sunbeds and a warm shower. 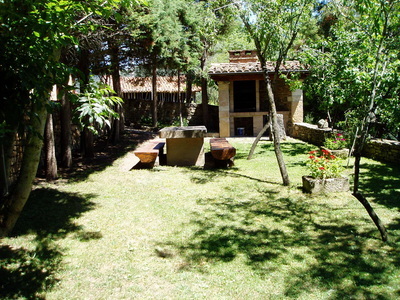 Barbecue area with the almond trees providing dappled shade. The family Blanco own the holiday casas in Ubriezo and have managed their successful business since the early 1990s. They are respected members of the Rural Tourism Association of Cantabria. 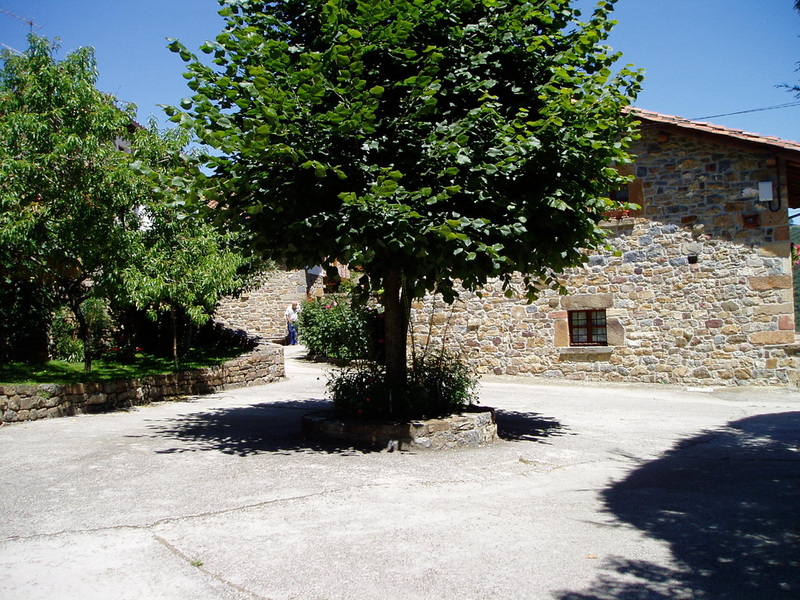 The family have lived and worked the land around Ubriezo for generations. Ubriezo and the view down the valley. 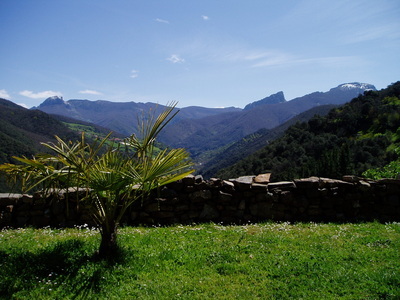 Ubriezo with the Picos de Europa mountains in the background. 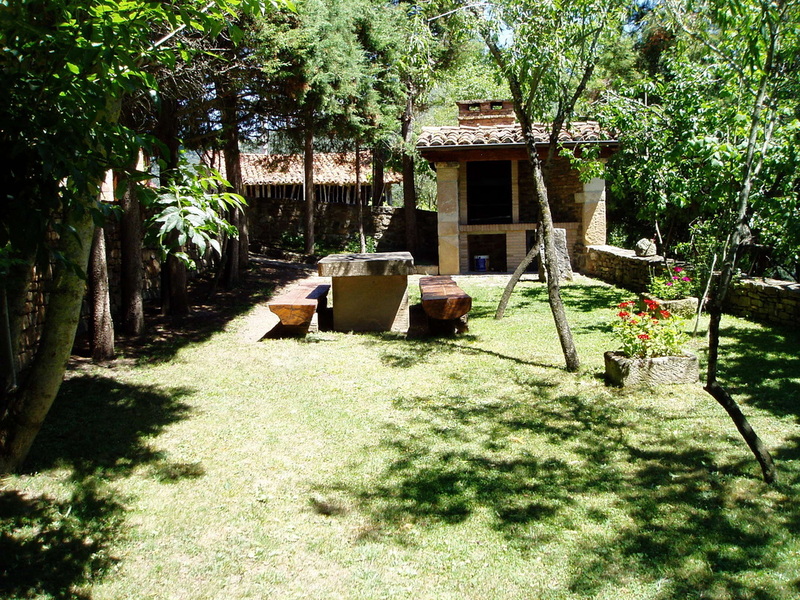 Purita manages the casas with help from her husband Galo. 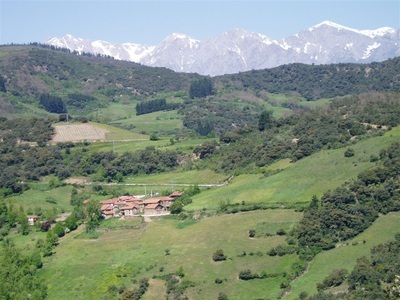 They also own and maintain much of the land around Ubriezo whilst tending their sheep, goats and chickens. 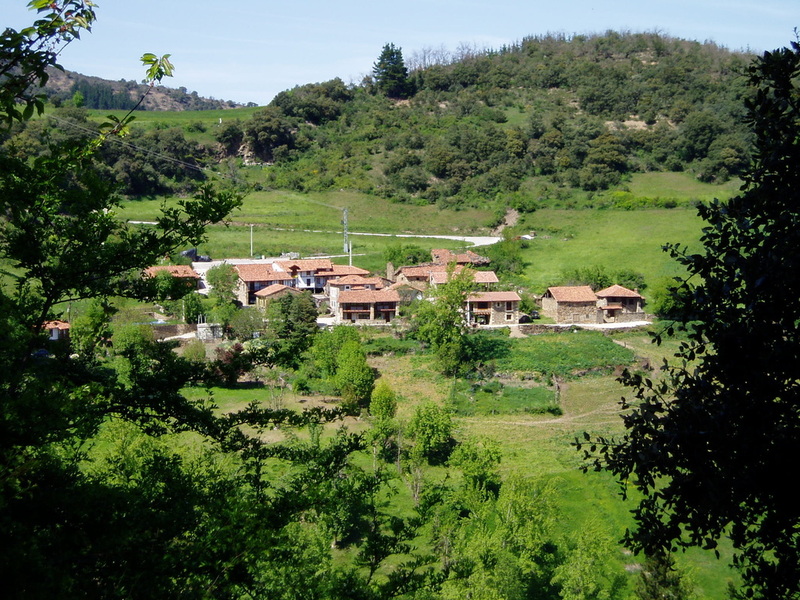 Their two sons, Juan-Luis and Jose are builders and they designed and renovated the holiday casas. 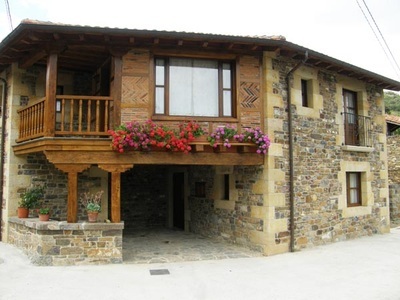 Casa El Balcon is an example of the brothers building work but it's not yet available for rent. 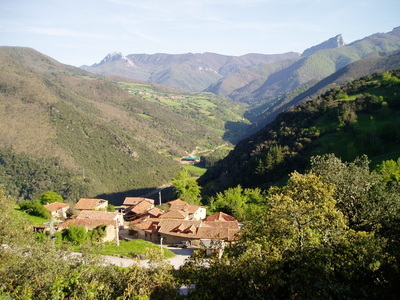 Ubriezo as seen from a path just above the hamlet. An evening view from the front of Ubriezo. 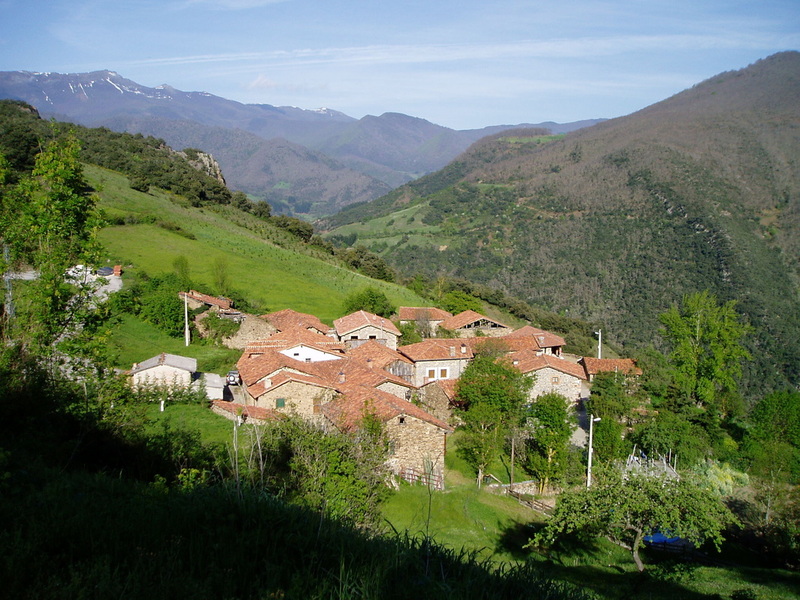 Ubriezo is 12km from Potes and is positioned between the villages of Piasca and Los Cos. Our full address is Calle Santa Cecilia, Ubriezo 39573, Cantabria, Spain. The road to Ubriezo is the CA 872 which is the junction near Cabezon de Liebana on the CA 184. Ubriezo is 116km from Santander airport, 212km from Bilbao airport, 196km from Asturias airport and 1547km from Merthyr Tydfil.